Although it has become commonplace now, modern photography is still a rather new invention. Since its invention in the 1830s, photography has undergone a number of important developments and advancements. One of these major advancements was the development of high-speed cameras. These cameras allowed photographers to capture and create a frame-by-frame breakdown of events or occurrences too fast for the human eye to discern. The first major breakthrough with high-speed cameras was in 1878. 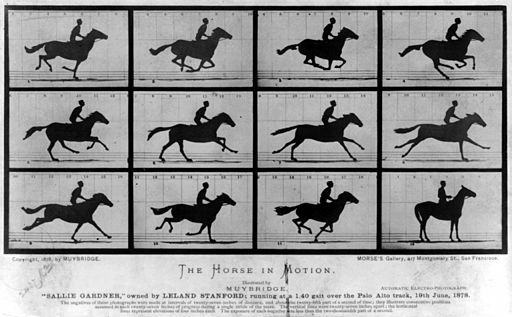 Eadweard Muybridge, a British expat and photographer living in California, was commissioned to use photographs to determine whether a horse lifted all four hooves off the ground when galloping. Using twenty-four cameras attached to a shutter release system dictated by the horse’s galloping path, he captured a high-speed motion sequence proving horses do lift all four hooves off the ground when galloping. Eight years later in 1886, Austrian physicist Peter Salcher captured the first image of a supersonic bullet. Austrian physics professor and philosopher Ernest Mach used Salcher’s photograph, “Bullet in Flight,” in his studies of supersonic motion. Mach’s instrumental work in supersonic motion is why the speed of sound bears his last name. In the 1930s, Bell Telephone Laboratories purchased high-speed cameras from Eastman Kodak for their studies of the effects of relay bounce. The cameras ran 16 mm film at 1000 frames per second (fps) and a 100-foot load capacity. 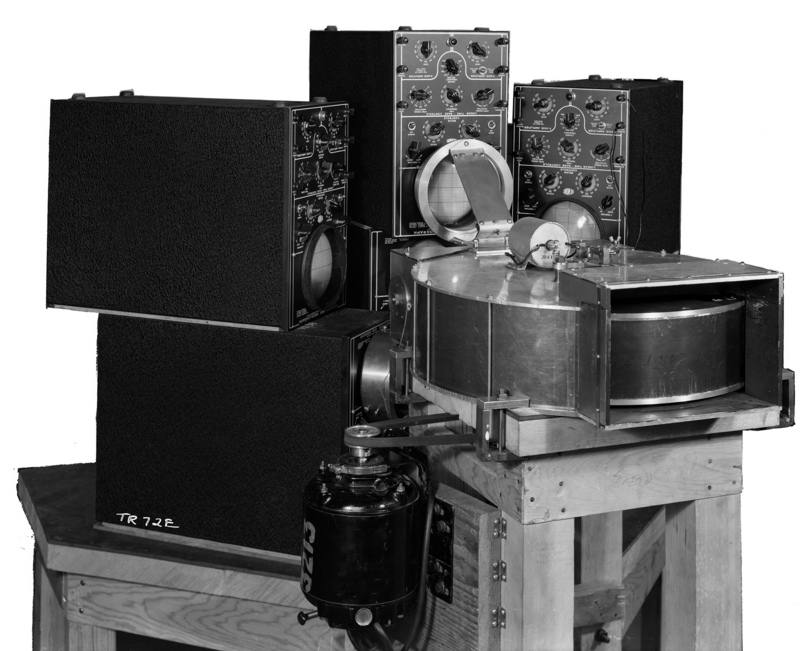 With a desire for even faster cameras, Bell Telephone Laboratories developed their own high-speed camera. Named the Fastax, this camera could produce 5,000 fps. Later, the laboratory sold its design to the Wollensak Optical Company, which improved the camera to handle 10,000 fps. 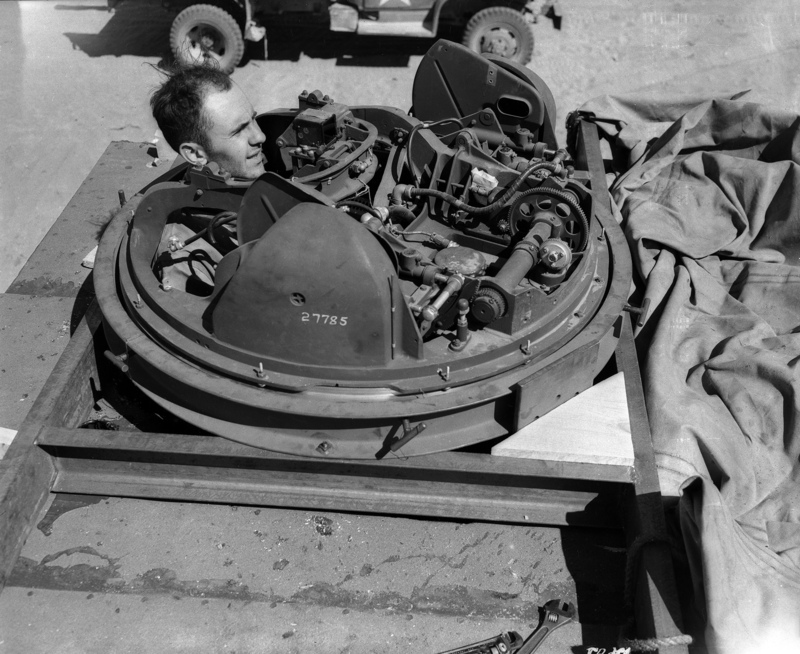 In 1940, Cearcy D. Miller filed a patent for a rotating mirror camera that was theoretically capable of 1,000,000 fps. In order to evoke a feeling of motion from still photographic images, film cinema (movie) cameras use “intermittent movement.” In capturing a continuous series of images on sequential frames of film, intermittent movement is used to progressively advance the film frame by frame. As a result, the images appear to move and happen in real time when the film is played forward at normal projection speed. High-speed cinema cameras are able to capture subjects and events happening at extremely fast speeds by syncing the speed of the film with the speed of the image. After recording a sequence of images at high-speed, the film can be played at normal speed, which causes the sequence to appear in slow motion and allows for better visual analysis. Unlike conventional cinema cameras, high-speed cameras do not use intermittent movement to advance their film. Instead, high-speed cameras use a form of continuous advancement that allows the film to move at a higher velocity than with intermittent movement. The most common way to produce this type of advancement is to replace the normal camera shutter with a rotating parallel-sided glass block (rotating prism photography). As the prism rotates, it moves the image in sync with the film; at the same time, the prism serves as the shutter. In order to break down the high-speed actions even further by shooting more frames per second, rotating mirror and rotating drum techniques were developed. For more information about how these types of cameras work, please click here. Streak photography is another relevant form of high-speed photography. Streak photography is similar to the type of photography used in “photo-finish” images. Streak cameras have slits instead of the normal camera shutter. These cameras can employ the rotating mirror and rotating drum systems to take high-speed images. At Los Alamos, NM during the Manhattan Project, scientists employed high-speed photography as a way to study and evaluate their nuclear weapons designs and tests. High-speed cameras were used to photograph tests of the uranium “gun-type” bomb design. These cameras were able to capture uranium-235’s “slow” critical insertion time of about one millisecond. Critical insertion time is the amount of time required to form more than enough fissile material to maintain a nuclear chain reaction, known as forming a critical mass. The cameras, however, were not fast enough to photograph the plutonium-based experiments. Unlike uranium, plutonium-240 has a high rate of spontaneous fission and has a smaller critical insertion time of approximately ten nanoseconds. 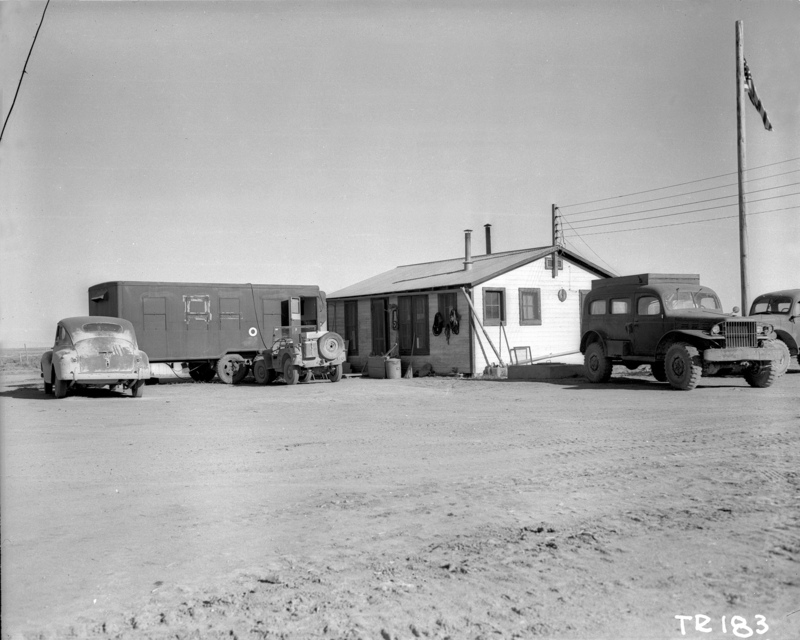 In order to photograph plutonium-based tests and weapons, Los Alamos photographers needed even faster high-speed cameras. 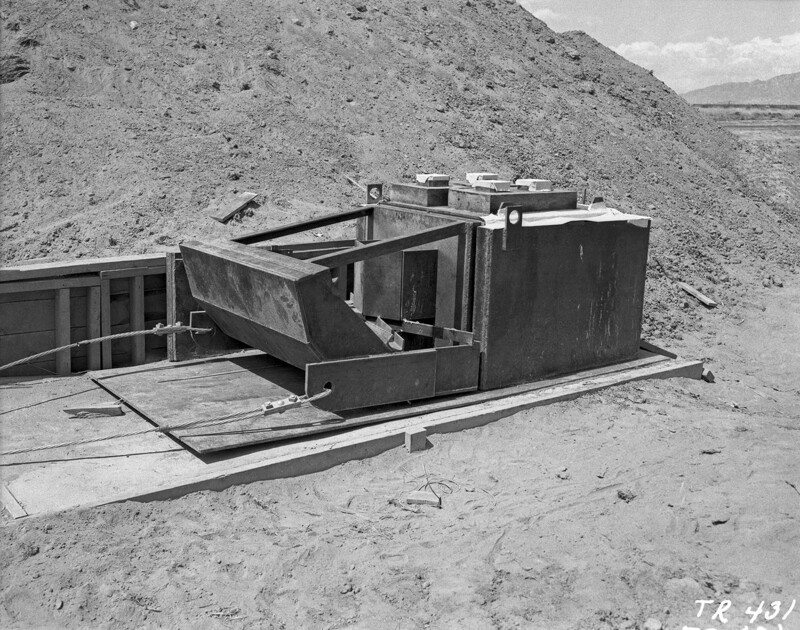 To study the implosion design at Los Alamos’ Anchor Ranch site and later the Trinity Site, Optics group members and scientists developed new and improved photographic techniques. These techniques included rotating prism and rotating mirror photography, high-explosive flash (“argon bomb”) photography, and flash x-ray photography. Invented by British physicist and Manhattan Project scientist W. Gregory Marley, the Marley camera was one of the initial high-speed camera options. 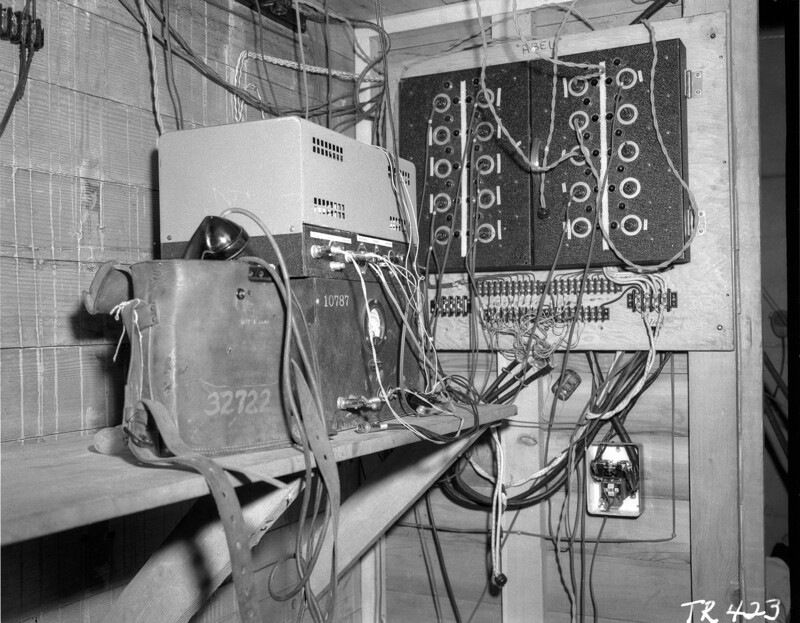 As Clay Perkins describes in his interview on the Voices of the Manhattan Project website, Los Alamos scientists “brought the Marley camera to Los Alamos to take pictures of the Trinity test.” The Marley camera “worked with a spinning wheel of little slots in front of a mass of individual cameras, so to speak. One piece of film, but with multiple lenses. The geometry of that allowed pictures to be taken up to 100,000 frames in one second.” This speed made it advantageous to studying the atomic bomb. 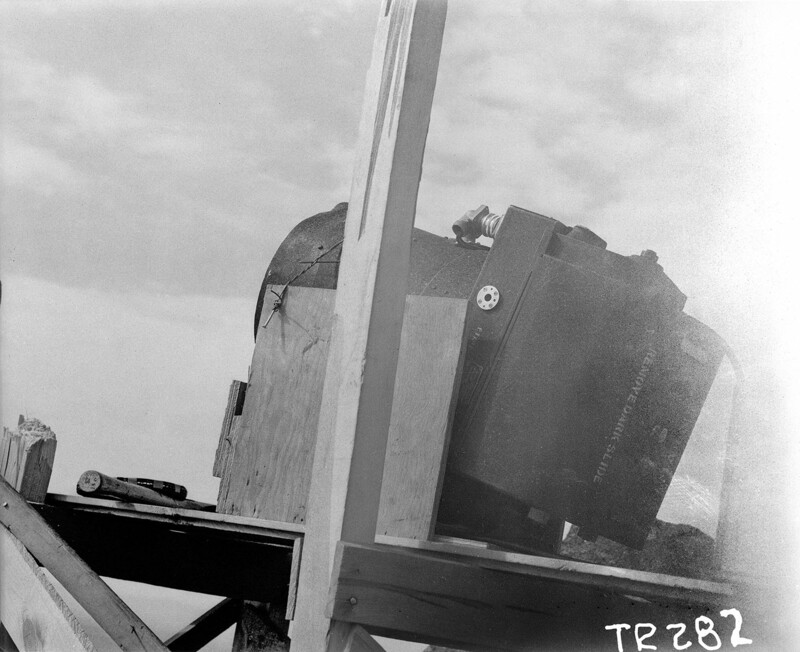 Although the Marley camera was used in the developmental process of building the bomb, Perkins noted that the camera was ultimately not used at the Trinity Test because “by the time of the Trinity Test, the Marley was out of date.” In his report on the events at Trinity, leader of the T-5 photography group Professor Julian Ellis Mack noted that “the fixed short focus and low quality of the lenses would probably have made the Marley camera pictures useless” during the Trinity Test. As the head of Optics in the Weapons Physics Division (Group G-11), Mack worked with group members including Berlyn Brixner to test and develop cameras ultimately used at Trinity. Improving upon the existing rotating, high-speed camera technology, Mack invented the Mack Streak Camera, a rotating mirror camera with a 0.0000001-second resolution. This resolution would allow the camera to capture images at 0.0000001-second intervals, providing even more detail per frame for studying high-speed events. 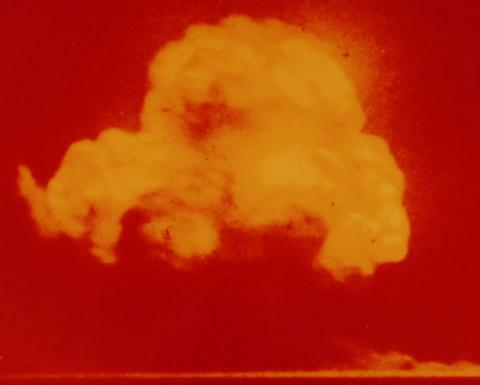 On July 16, 1945 in Alamogordo, New Mexico, the “Gadget,” a plutonium implosion device, was detonated in the Trinity Test. 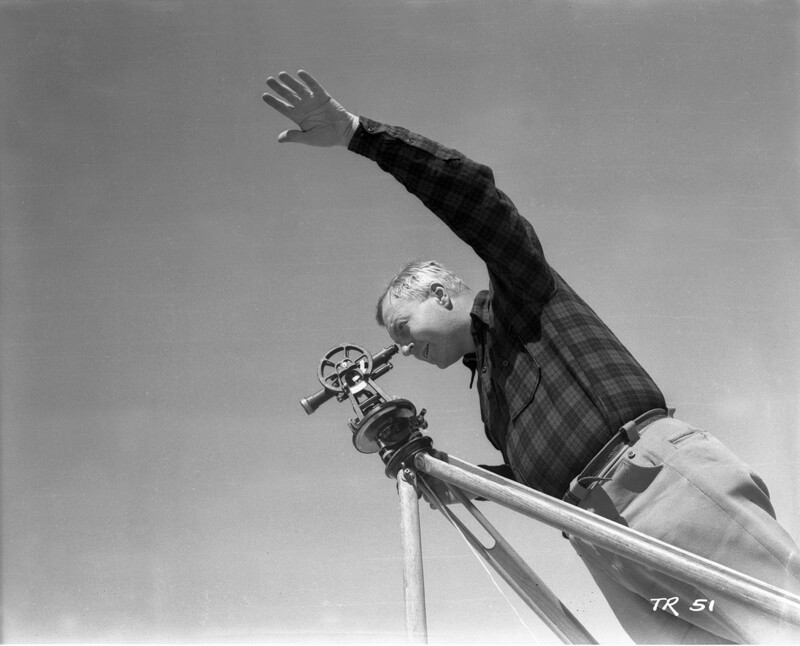 As one of the head photographers for the Trinity Test, Brixner helped orchestrate the use of fifty-two different cameras to capture the test on film. The images and film generated from the test were used for spectrographic and yield analysis of the bomb. As hinted at by the list above, a variety of cameras were used during the Trinity Test. Many of these cameras had varying film speeds, lenses and exposures in order capture different stages of the atomic bomb explosion. 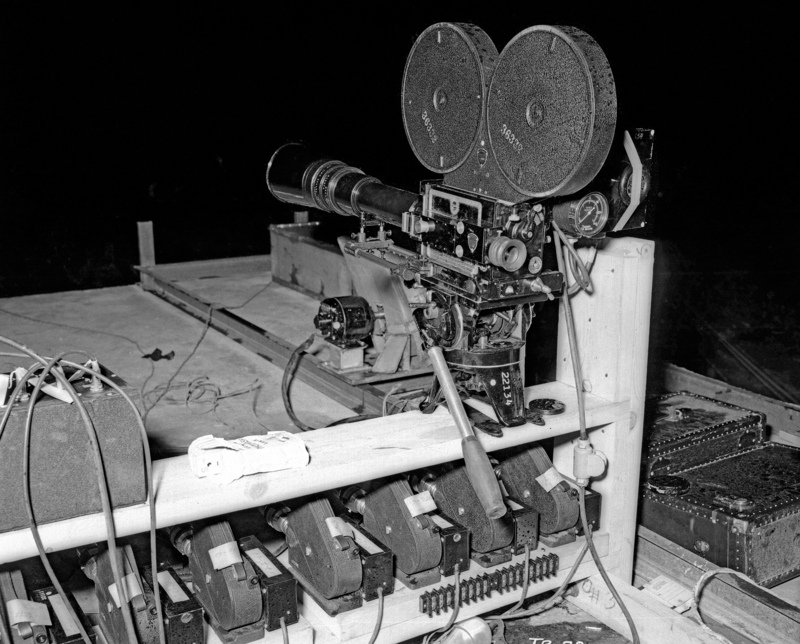 Fastax cameras were used to record minute details of the explosion. Rotating-drum spectrograph cameras were used to monitor light wavelengths emitted by the fireball. Pinhole cameras were used to record gamma rays. According to Brixner, they “got a complete record with those motion pictures cameras of the whole explosion.” By the end of the test, “something like 100,000 pictures were taken with all those cameras.” Since most of the recording was done on motion picture cameras, a majority of the photos come from individual frames or stills from the motion picture film. Both black and white film and color film were used in cameras at the Trinity Test. While Jack Aeby's color photograph of the Trinity Test is the most well known, some of Mack and Brixner's cameras did use color film. 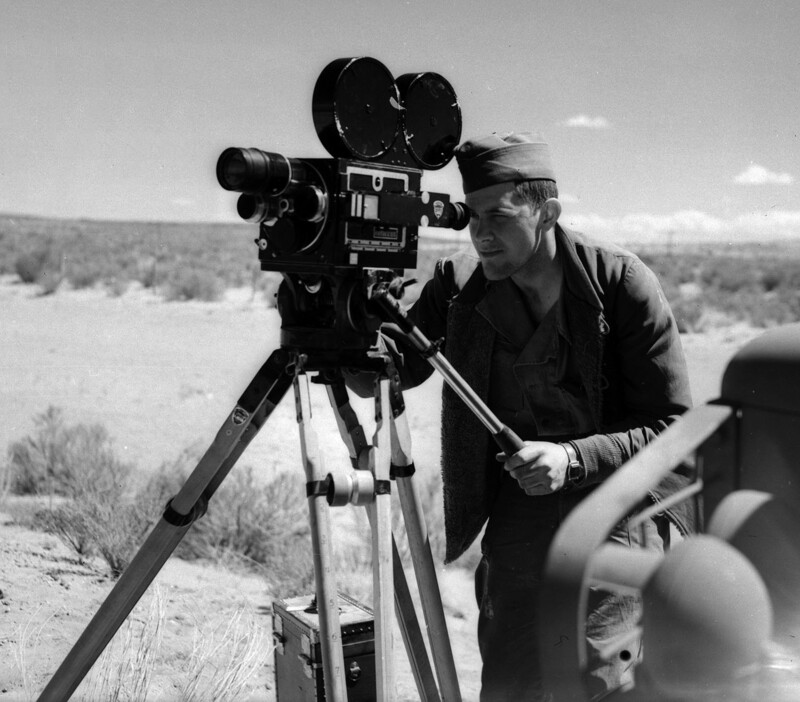 In his July 16th report, Mack noted that the twenty-four Kodak Cine "E" 16 mm cameras used Kodachrome film. Released by Eastman Kodak in 1935, Kodachrome was one of first successful color films. In his interview, Brixner said his cameras with color film "made some satisfactory pictures but nothing particularly spectacular." 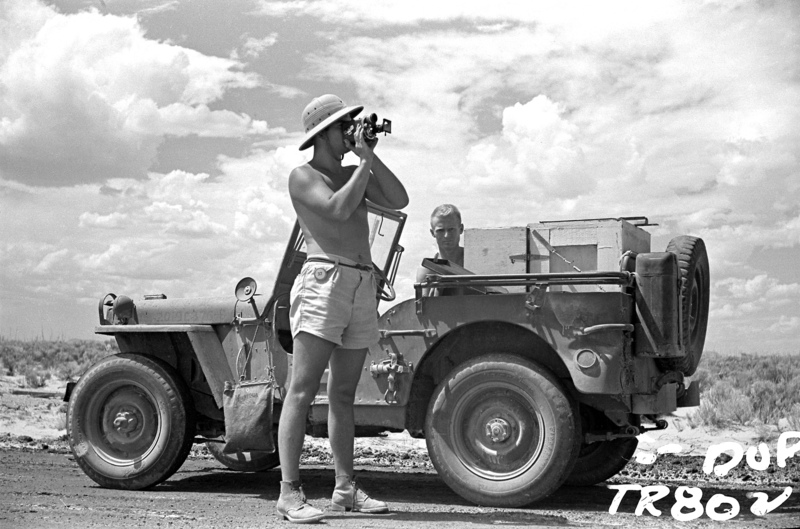 High-speed cameras continued to be used during the Cold War to capture other nuclear tests. Harold Edgerton, the father of modern high-speed photography, changed the way these explosions were recorded with his invention of the stroboscope and Rapatronic. The stroboscope uses flashes of light to allow people to see images that happen too quickly for the human eye to normally see. The stroboscope is able to do this by syncing the frequency of its electric flash with the speed of an object in motion. 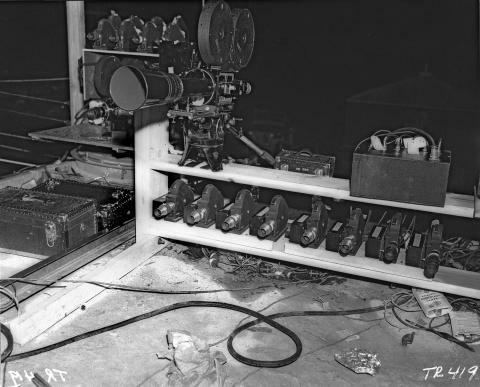 When Edgerton combined the electronic stroboscope with a special high-speed motion picture camera, he was able to arrange each flash to expose exactly one frame of film. Using this technology, he could make high-speed events appear in extremely slow motion. The Rapatronic or Rapid Action Electronic shutter allowed Edgerton and his colleagues Kenneth Germeshausen and Herbert Grier to capture nuclear explosions for the Atomic Energy Commission (AEC). The shutter opened and closed by turning a magnetic field on and off. By manipulating the shutter speed, they could generate an exposure as short as two microseconds. The Rapatronic images allowed the AEC to measure the diameter of the bomb’s expanding fireball explosion at different time intervals, and thus, determine the efficiency of the explosion. 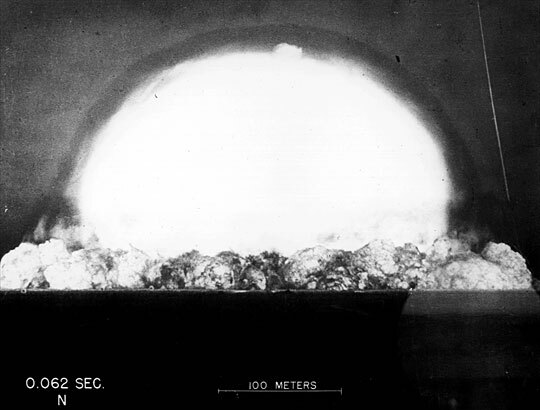 Edgerton used the Rapatronic to photograph the hydrogen bomb tests at Eniwetok Atoll in 1952. 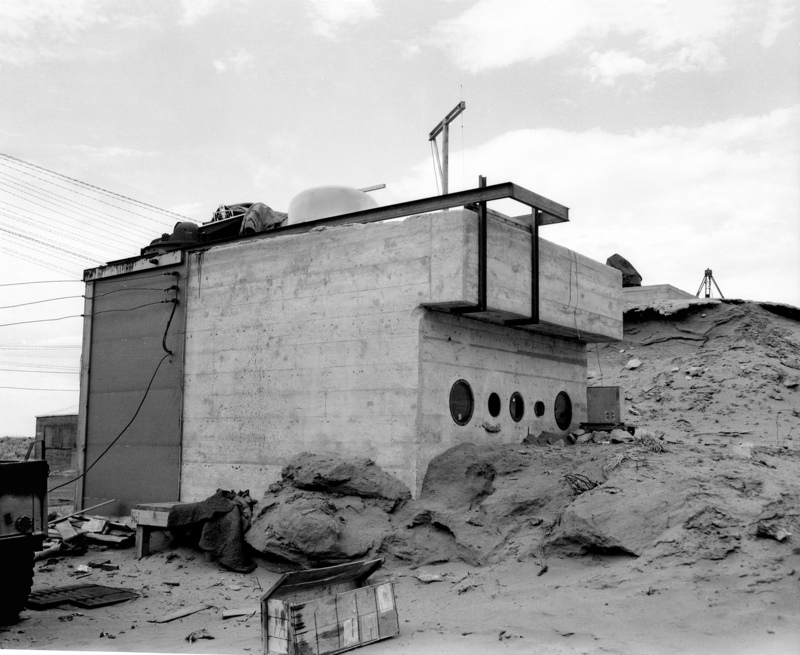 The innovations of high-speed cameras at Los Alamos and during the Cold War greatly impacted the field of photography. The developments of new technologies and techniques like cameras with increased fps, electric flashes and magnetically controlled shutter speeds expanded the applications for photography within science and beyond. High-speed photography was incorporated into scientific studies of rockets at NASA as well as research of lasers. This type of photography was also used in medicine and in the manufacturing sector. 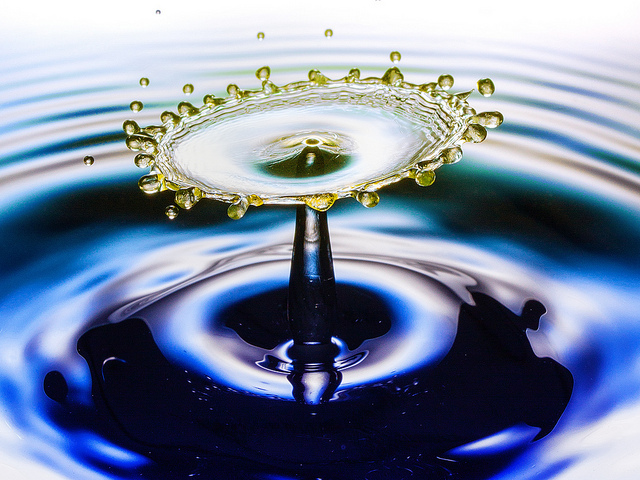 With the accessibility of photographic technology and advancements of digital cameras today, high-speed photography has become part of visual culture around the world. High-speed photography and slow motion videos can be seen everywhere from museums to Flickr and from blockbuster films to YouTube how-to’s. 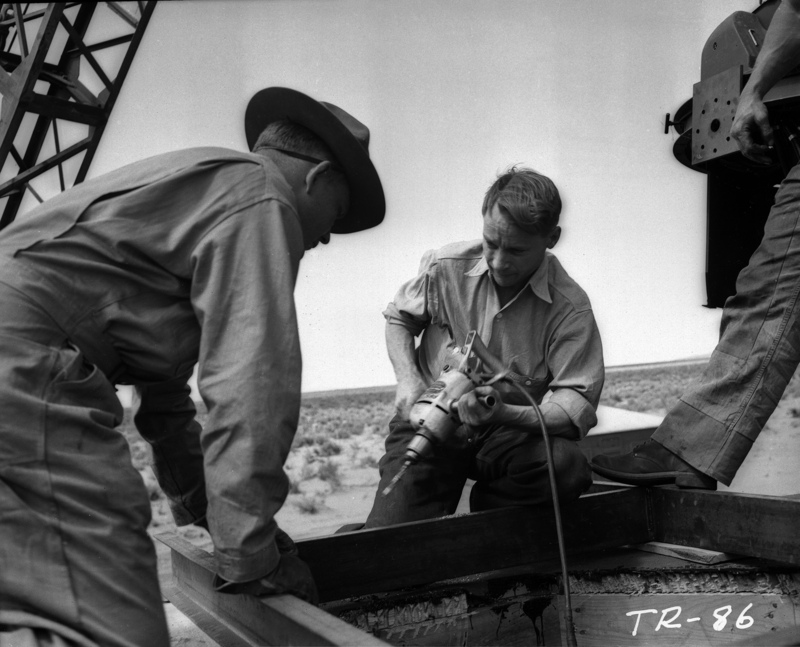 In this way, the legacy of innovations at Los Alamos stretches far beyond nuclear science and the atomic bomb. Trinity Test Fireball at 0.062 seconds. The famous photo of the Trinity test, taken by Jack Aeby. 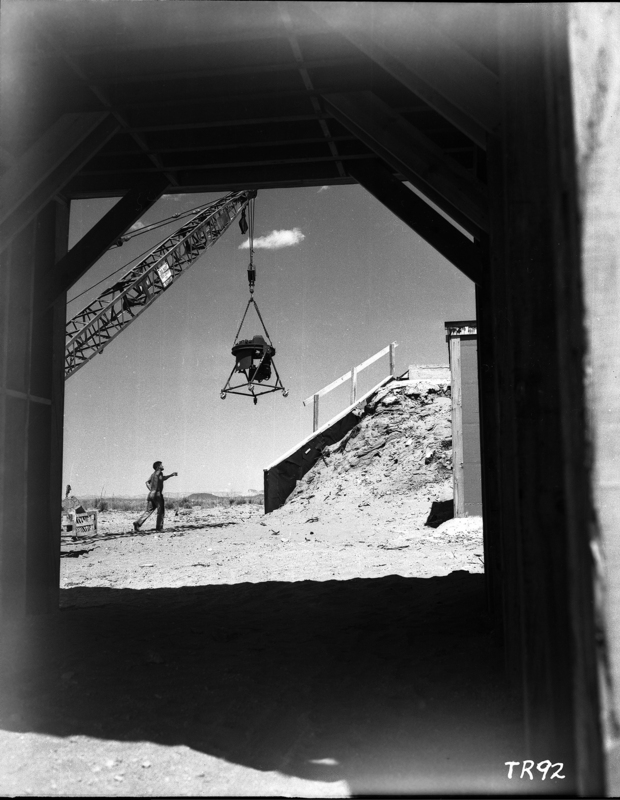 In his interview, Berlyn Brixner discusses what it was like to be a photographer and camera engineer at Los Alamos during the Manhattan Project. "General Equipment and techniques" by Aebersold et al.